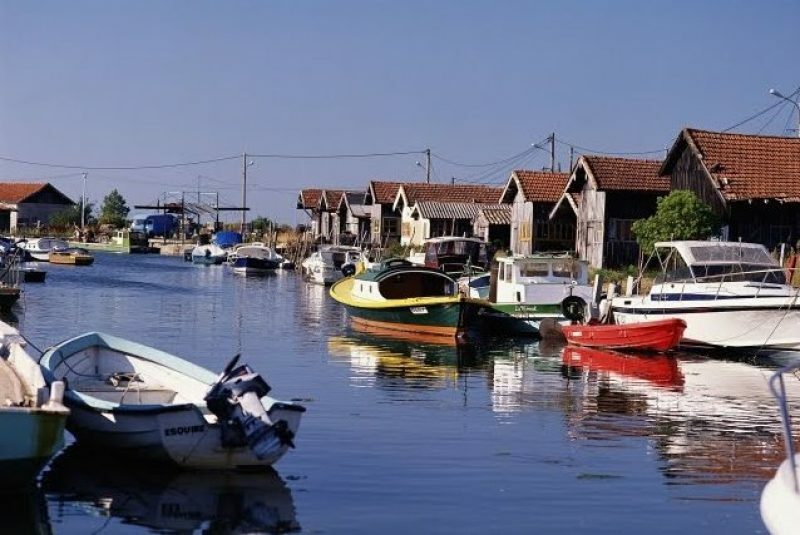 Gujan-Mestras is the principal port town in the ring of coastal villages strung around the Bassin d’Arcachon. This is the business end, if you like, of the coastal resorts of Arcachon and the giant dunes to south that run down as far as the Basque country and the border with Spain. The main activities here are oyster farming and rugby. The oysters are superb and it’s worth trying some of the local places along the harbour front where almost any restaurant/bar you tumble into will have a branch in the family farming fresh oysters too. The market here is a staple diet every Wednesday (08:00 to 12:30) on the square in front of the railway station, when about 20-ish vendors ply their trade. No problem getting buckets and buckets of fresh oysters, as well as a huge array of various other sea foods. This market extends to a daily event during the summers months and in addition, there’s a night-time market (marché nocturne) every Friday night in summer over on the Place de la Claire from 18:00 to 22:00.